By using or visiting the Site, for purchase otherwise, (and this includes visiting the site whether or not you are participating in any commerce), you expressly agree to be bound and abide by these Terms & Conditions as well as all applicable laws and regulations governing the Site. If you do not agree to these terms, you must terminate your use of the Site. In order to use certain powerplaywashers.com services and advantages, you may be asked to provide personal information (i.e. identification, contact information, etc.) as part of the registration process, or as part of your continued use of our services. In order to use our site in good faith, you must agree that any information you enter while registering with powerplaywashers.com will be accurate, correct and up-to-date. 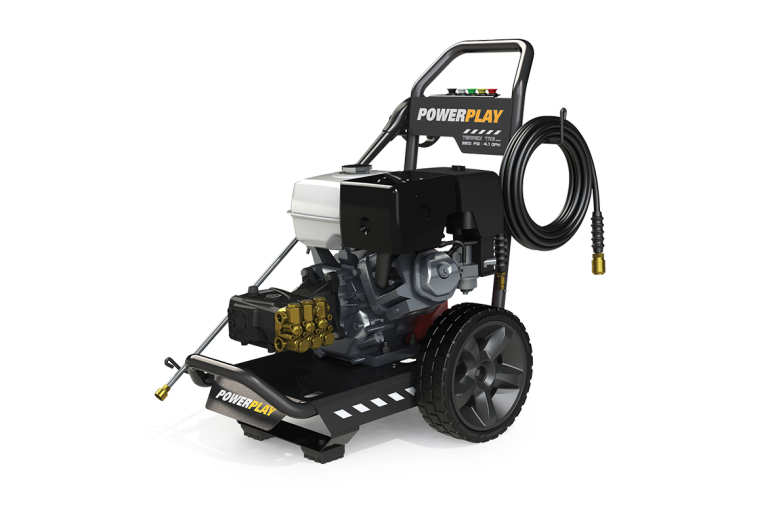 powerplaywashers.com will communicate with its Customers electronically, primarily through e-mail. As a Customer, you give consent that all agreements, notices, disclosures and other communications that we provide to you electronically satisfy any legal requirement that such communications be in writing. The Customer shall not use the Site for any unlawful purpose. Strictly prohibited actions include transmitting material: (i) that is unlawful, abusive, profane, obscene, vulgar, defamatory, threatening, invasive of publicity or privacy rights, or otherwise objectionable; (ii) that violates or infringes upon the rights of others in any way; (iii) that encourages others to commit unlawful acts; (iv) that contains publicity, advertising, or solicitation for goods or services that did not receive prior approval from powerplaywashers.com; (v) that prevents other Customers from using and enjoying the Site. 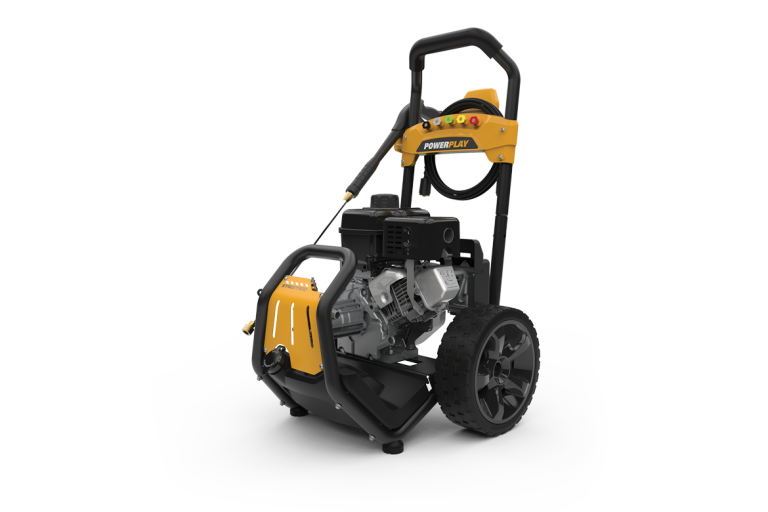 Unless otherwise indicated, the Site contains proprietary materials that Customer acknowledges and undertakes to not reproduce without express written authorization from powerplaywashers.com. These materials include without limitation, any and all text, images, marks, logos and other content contained herein, including, without limitation, the powerplaywashers.com trade-mark and logo and all designs, text, graphics, pictures, information, data, software code, sound files, other files, and the selection and arrangement thereof, including custom graphics, button icons, and/or trade dress (collectively, the “Site Content”). 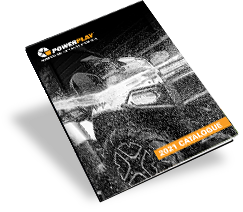 The Site Content is the proprietary property of powerplaywashers.com or its affiliated companies, partners, or content suppliers, all of which are protected by Canadian and international copyright laws. 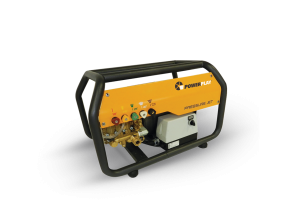 powerplaywashers.com, its logo, and all other product or service names or slogans displayed on the Site are registered and/or common law trade-marks of powerplaywashers.com and/or its suppliers or licensors, and may not be copied, imitated or used, in whole or in part, without the express written consent of powerplaywashers.com or the applicable trademark holder. All other trademarks, registered trademarks, product names and company names or logos mentioned on the Site are the property of their respective owners. 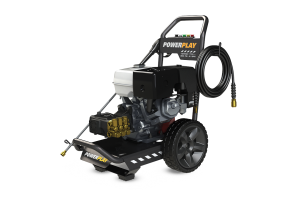 Reference to any products, services, processes or other information, by trade name, trademark, manufacturer, and supplier or otherwise does not constitute or imply endorsement, sponsorship or recommendation thereof by powerplaywashers.com. Any violation of this policy may result in a copyright, trademark or other intellectual property right infringement recourses, and may subject the end Customer to civil and/or criminal penalties. powerplaywashers.com makes no warranties of any kind, express or implied, as to the operation of the Site or the content, information, products, or services that is featured on the Site. We provide this Site on an “as is” and “as available” basis. The Customer agrees to use this Site at his or her own risk. 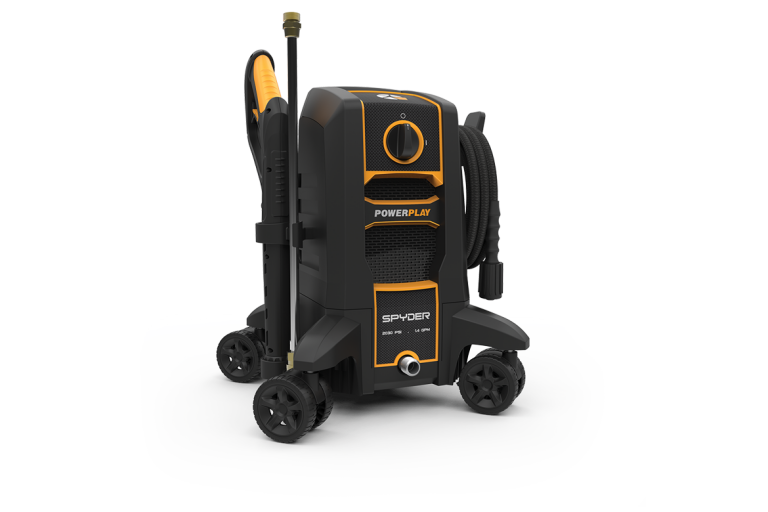 The Customer expressly understands and agrees that powerplaywashers.com, its employees, officers, shareholders, contractors, agents, affiliated parties, or any person or entity involved in creating, producing, posting or distributing powerplaywashers.com content, will under no circumstances be liable for damages, including, without limitation, direct, indirect, incidental, punitive, or consequential damages arising out of the use or inability to use the Site, no matter how such damages may have occurred. 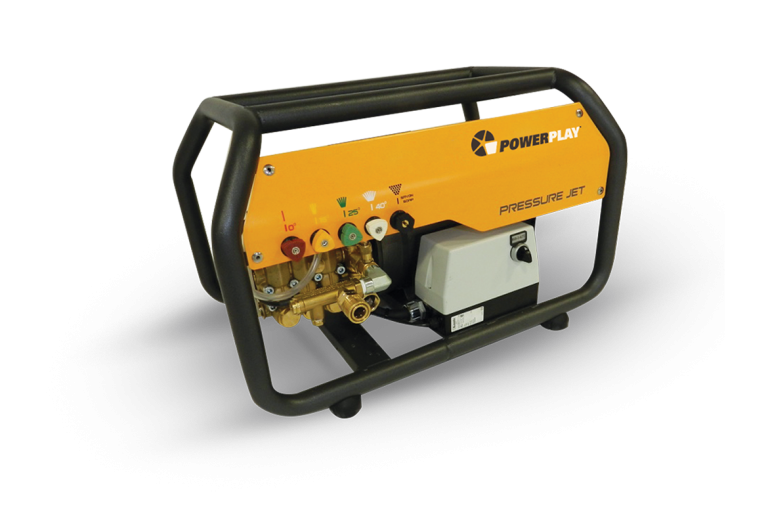 Neither powerplaywashers.com, nor any third parties providing content or services, shall be liable for any errors, inaccuracies, omissions or other defects in the information contained on this site, or for any delay or interruption in the transmission thereof to the Customer, or for any claims or losses arising from this, regardless of their cause or duration. To the full extent permissible by applicable law, Boutiquelemarcheur.ca disclaims all warranties, express or implied, including, but not limited to, implied warranties on the part of our merchant partners for a particular purpose. Boutiquelemarcheur.ca does not warrant that this site, its servers, or emails sent from the Site are free from harmful components, such as viruses. The Customer agrees to indemnify and hold Boutiquelemarcheur.ca, its affiliates, and each of their advertisers, agents, licensors, suppliers, officers, directors, shareholders, employees, agents, service providers and other contractors (collectively, “Groupe Boutiquelemarcheur.ca”), harmless from any loss, liability, claim or demand, (including but not limited to reasonable attorneys’ fees, accounting expenses, and legal costs), made by any third party arising from or related to (a) access to or use of Boutiquelemarcheur.ca and services, including, without limitation, Customer or others’ access to content or other materials available by means of the web site or third-party web sites, or Customer purchasing of goods or services from third parties; (b) Customer’s violation of these terms or breach of these terms, including, without limitation, any representation or warranty contained in this agreement; or (c) content or information on any products, postings, offerings, data or materials. The Groupe Boutiquelemarcheur.ca will have the right, but not the obligation, to participate through counsel of their choice of any defense by Customer or of any claim as to which Customer is required to defend, indemnify or hold harmless the Boutiquelemarcheur.ca indemnified parties (i.e. “indemnified claim’). Customer may not settle any indemnified claim without the prior written consent of the concerned Boutiquelemarcheur.ca indemnified parties. Up to 7 days after the date of purchase and until your order has been shipped, you can get your money back without any questions asked. Thereafter and/or when the order is shipped, the product is deemed to be sold and thus the service is considered rendered. All sales made ? ?by powerplaywashers.com a are subject to the return policy issued par powerplaywashers.com. The responsibility of consulting this return policy prior to confirming his purchase belongs to the customer and with his order confirmation, he agrees to this policy. Boutiquelemarcheur.ca honors the reimbursement of errors for which it is responsible, but offers no guarantee on errors related to the information provided by the customer when ordering. For this purpose, a proof confirmation will be sent to the customer before the merchandise is been shipped. 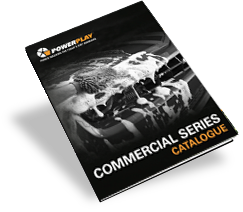 Unless the customer communicates with powerplaywashers.com to change the information on the order confirmation within 24 hours after its reception, the conformity of the order is considered to be validated by the customer and seal the contract. In case powerplaywashers.com is responsible for an error occurred while processing the order, the customer must report the error within 10 days of shipping, otherwise no compensation will be applied. A request with powerplaywashers.com does not guarantee a refund or other compensation measures. Each case will be dealt with separately and a decision will be made within 5 working days of the request. Any reasonable request will be considered and Boutiquelemarcheur.ca agrees to act in good faith in the resolution of problems as the customer satisfaction is a priority. The transfer of responsibility takes place at the time of sale. Customer becomes owner of the goods when it is deemed to be sold, i.e. when the order is shipped. Transport risks are the responsibility of the customer. If any provision of these Terms and Conditions is held invalid by a court of competent jurisdiction, such invalidity shall not affect the enforceability of the other provisions contained in these Terms and Conditions, and the remaining portions of these Terms and Conditions will remain in full force and effect. If a party fails to exercise its rights under these Terms and Conditions, this cannot be deemed a waiver or forfeiture of such rights or any other rights provided below. If you have any questions regarding these Terms & Conditions or your use of the Site, please contact us at custserv@owerplaywashers.com.